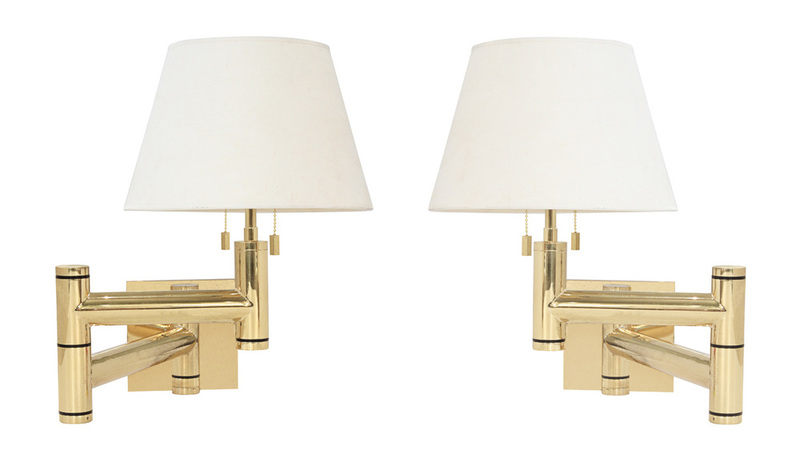 Pair of exceptional swing arm wall lamps in polished brass by Karl Springer, American, 1970's. The construction and materials are simply the best. Wall lamps are 27 inches deep when arms are fully extended out.